Designed to meet U.S. EPA Tier IV Final and EU Stage V emissions standards, Perkins 1706J delivers a powerful 456 hp (340 kW). Perkins displayed its 1706J engine at World of Concrete 2018. The 6-cylinder, 9.3-liter engine combines a high-pressure common rail fuel system and advanced after- treatment technology to produce up to 456 hp (340 kW) of power and 1540 ft-lb (2088 Nm) of torque out of a compact, lightweight package. First announced in 2016, the engine is now nearing production in the first quarter of this year at Perkins world class manufacturing facility in Seguin, Texas. “The 1706J model will be certified to Stage V and Tier IV Final (and equivalent) emission standards and will soon be followed by a product for lesser regulated countries, expanding on our offering of worldwide engine platforms,” said Manoj Baweja, commercial manager of large industrial engines. The 1706J offers outstanding power density up to 49 hp/L (37 kW/L) that allows OEMs to downsize their engine platform without sacrificing performance or reliability. It is designed to allow simple, low-cost installations with low heat rejection for optimal cooling package sizing and features like engine-mounted aftertreatment to reduce installation cost. Typical applications for the Perkins 1706J include air compressors, hydraulic excavators, agricultural tractors and rock crushers/screeners. 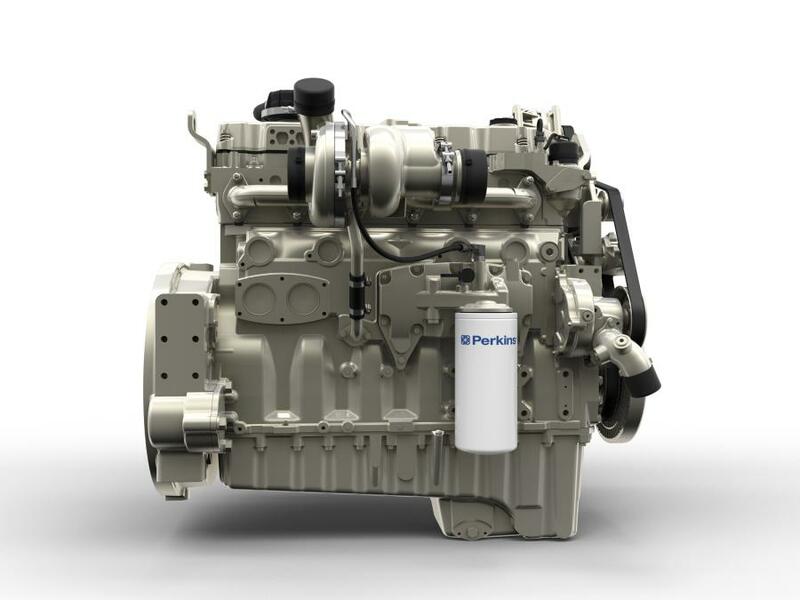 The new 1706J, like all Perkins engines, is supported by Perkins global distribution network that provides a uniformly high level of service, parts availability and technical expertise, according to the manufacturer.